Contracts are a core piece of commercial transaction which means that contract management is a core competency for any successful organisations. Best practice within contract management needs to be mastered to ensure high productivity. 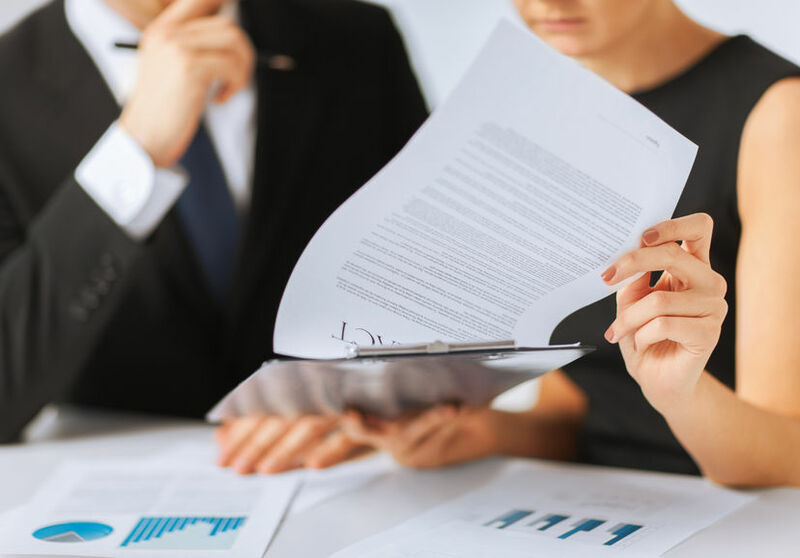 It is very difficult to manage contracts if you have a disjointed and disorganised management system, this can affect the organisations systems and processes. Without an easy structure this can be lead into problems such as missed deadlines and increased liabilities that can affect the success of the of the company. It is important to be organised and able to manage the contracts effectively because if a contract is not signed or paperwork is not completed your company can be legally liable for the damages. A company should provide contract management training if you feel like everything is getting on top of you. A contract manager’s position is to ensure that all contracts are legally sound and that they are stored in a safe place in case you require them at a later stage. Business ethics specify that documentation is kept for 8 years and after that it needs to be disposed of via a shredder or given to a waste removal company. Here are some tips on how to master contract management. If you are reading this article then something isn’t really going right in the world of contract management for you. The first step you need to take is to step completely back and detail the steps to see which parts of your contract management system is not working. This will let you see which parts need improving and which parts are mostly redundant. Once you have all the information in front of you, it’s time to set some realistic and measurable goals. The goals could include how your process reduces potential risk or increasing your visibility of the contracts to ensure they are within reach. Once you know why you want to change the current process it will be easier to achieve all the important steps. Contract language and jargon can be confusing for the best of us, though the words look fancy they can get you into trouble if you don’t know what they mean. It’s now time to standardize the language in the contract to make it easier on yourself, while you are at it why not create a contract template that can be used for many different clients. The template will help you save time and give you more an understanding of the contractual obligations. Be sure to contact your legal department to look over your template and point out any parts that need to be changed. This ensures that your contract is water tight and it would be easier to manage. A contract manager will know how long it takes to organise many different contracts such as master agreement, service agreements, supplier contracts and other documents. A disorganised process will have you searching around for the documents which can eat into your time. Document software such as ITRIS is a centralised hub that will keep a record of all your signed contracts, the software will also let you know expiry dates to ensure you are always one step forward. Investing in software will save your company time and money, better yet the software can be seen by your superiors so they won’t need to run back to you every time they need a contract. A contracts consultant can give you some guidance and mentor you for different situations that might arise to keep your contract management skills updated at all times. The consultant can provide advice on how to streamline your processes in the most effective way. They can also build you a contract management process unique to your company and sector that you can maintain to save the company time. The consultant can offer contract management courses to help you get a boost. Review review review, in a fast paced environment it is easy for things to get on top of you. Where once a process was ticking all the boxes is now barely working due to the changing of the business. It is very important to review your contract management processes every month to ensure that they are still valid. If you feel like some things are missing or slipping out of your focus then see step one again. London Training For Excellence have a contracts manager course that would benefit anyone coming into the world of contracts or for someone that would like to brush up on their skills. Learn more about our contract management course.